Keep your cocoa or coffee warm this holiday season with a personalized plaid icon latte mug. 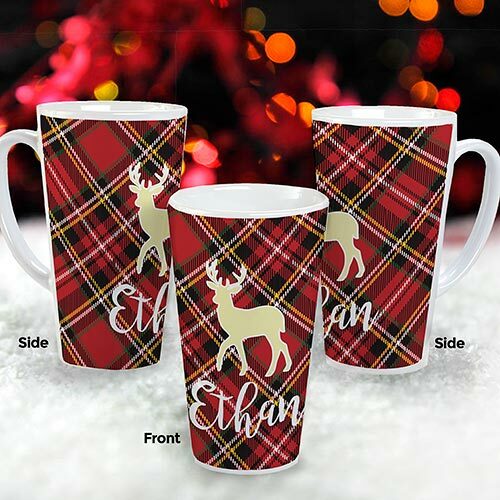 Created with any name and any choice of icon, these trendy plaid personalized Christmas mugs are sure to be a hit gift this year. Don't forget to buy one to sip your favorite beverage, too! 17oz Latte style white ceramic mug. Additional Details Keep your holiday home decorated in the perfect decor with personalized Christmas Stockings! There's something for everyone and every style. Shop today!